Your first visit to C.A.R.E. 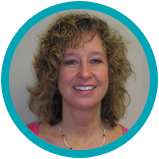 Dental Hygiene in Dundas involves an in depth medical examination and dental history recording which is updated at every appointment. We will take your blood pressure and check your heart rate. A thorough exam of head, neck, teeth, and tissues is done as well as a visual oral cancer screening. 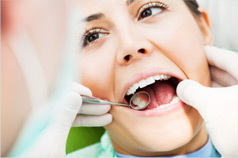 A dental hygiene assessment, diagnosis, and custom treatment plan are then discussed with you. Once consent is given, treatment will be implemented and followed up with an evaluation of the tissues (periodontal health). We will work collaboratively with your dentist or will refer you to one of our supportive dentists/specialists in the Dundas or surrounding community as required. Cleaning or scaling of the teeth removes the hard deposits, calculus (tartar), and the soft deposits, biofilm (plaque), from above and below the gum line to help prevent periodontitis and gingivitis. Recent studies have shown that the bacteria found in plaque are also found in the arteries and can contribute to heart disease and other diseases. The time required to remove these deposits varies from client to client depending on the condition of the gums and the amount of deposits. At C.A.R.E. Dental Hygiene, we use state of the art equipment when cleaning your teeth, including the #1 European method of Dental Hygiene therapy--the EMS Piezon and airflow polishing. The air flow polish is a natural amino acid spray with no abrasiveness to the enamel, root surfaces, or any dentistry in your mouth including porcelain crowns and bridges. At C.A.R.E. Dental Hygiene, we offer client specific fluoride treatments such as: varnish, tray applications, and rinses. Fluoride treatment is used to help prevent decay, to aid in the re-remineralization of teeth, and to treat tooth sensitivity. Tooth sensitivity can be caused by gum recession, tooth brush abrasion, and grinding.